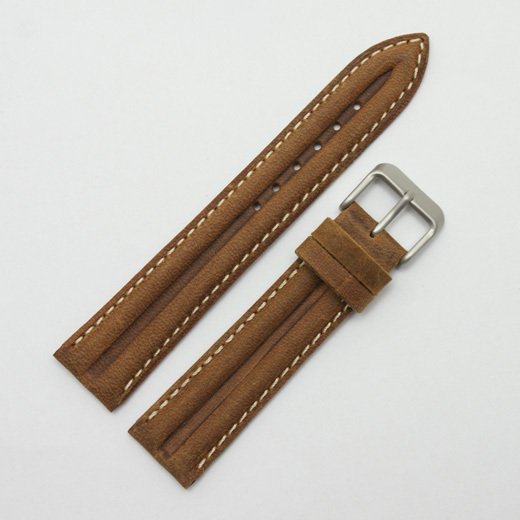 This vintage style, matt finish brown watch strap has two padded lines, is made from superior leather and is from the LBS Premium Range. 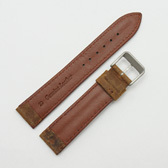 With a smooth finish it is comfortable, attractive and water resistant. 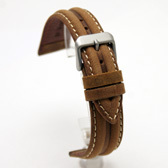 Ideal for vintage and sports watches, this watch band has a matt stainless steel buckle. This strap will fit any watch were the distance between the lugs is 16mm, 18mm or 20mm (depending on the size you buy). Like all of our products, it is brand new and in stock in the UK, ready for our super fast shipping.